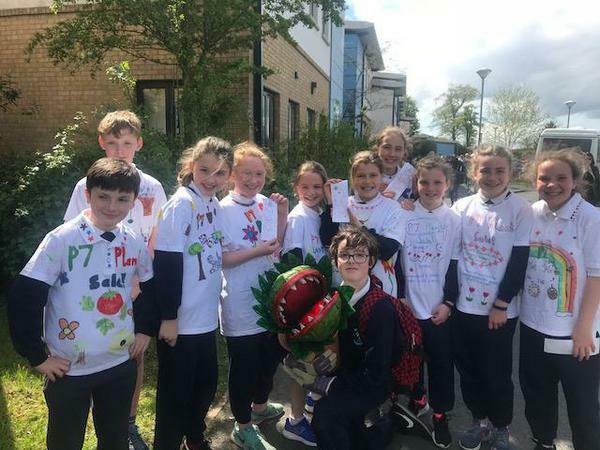 Preparations are underway for the P7 Plant Sale on Monday 14th May. The children have been planting up hanging baskets, pots and window boxes as well as sowing a variety of flower and vegetable seeds. Mrs Gibson, in the Nursery, has also been creating some fabulous, magical fairy gardens that will be on sale too. Please put the date in your diary and pop round to the back of the school to see all that we have on offer. The Sale will take place from 1.40pm-3.10pm. Refreshments will also be available. Thank you.